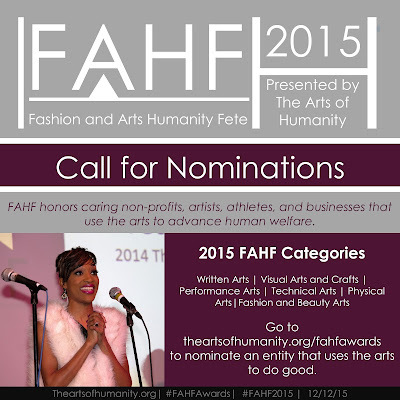 Coming up in Chicago, the annual, Fashion and Arts Humanity Fete ( FAHF), a high quality awards show that honors humanitarian achievements in the fashion and arts industries. Honorees of the FAHF Humanitarian Award are individuals who work in fashion, design, arts, sports, music, theater, media, and other arts fields that use their artistic talents as the platform for their humanitarian works. Nominations are open during specific times of the year and honorees are chosen based on specific criteria. A special recognition is given to entities that have excelled during the current year. Do you know someone, a business, or an organization that should be nominated? Nominate them now. Or Visit www.theartsofhumanity.org. We can certainly use the support of our followers from various parts of the world! 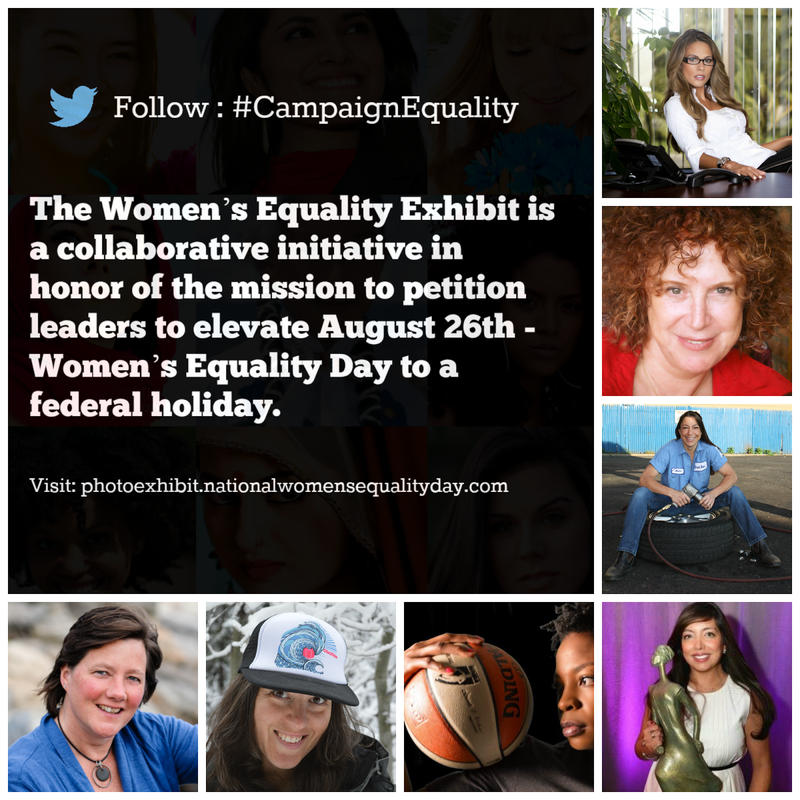 The Women’s Equality Exhibit promotes notable women change makers while recognizing the diversity in 21st century America. 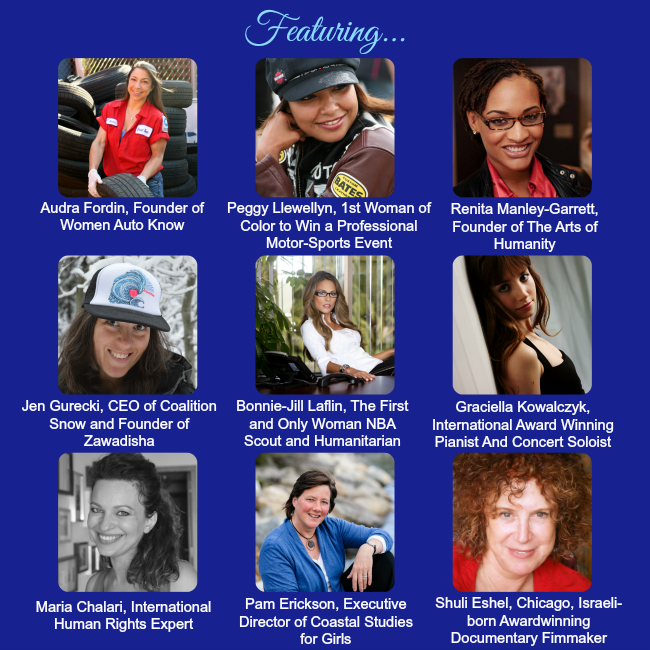 Plus many of the featured women’s work exceeds beyond the U.S. For instance, the work of Israeli-born, Chicago award winning documentary filmmaker, Shuli Eshel has contributed to the women’s movement, politics and history in the United States and Israel; the first and only woman NBA scout, Bonnie-Jill Laflin is a philanthropist and humanitarian. She has completed 18 USO and Goodwill tours, including 8 to Iraq and Afghanistan to aid military veterans; also, the exhibit will feature Chicago’s Global women’s rights activist and artist Zainab Khan who is American-born with a father who emigrated from Afghanistan. Her artwork is being used by global nonprofits to raise funds to fight violence against women in the Middle East; Lastly, Former WNBA and Europe basketball player Edniesha Curry, now coach, travels the world to empower children through the game in basketball. She is currently running workshops in Vietnam. 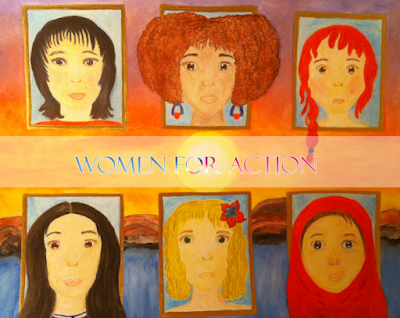 We would greatly appreciate the support of Women For Action's entire audience which extends to to different areas across the globe. 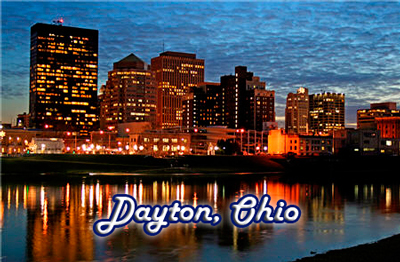 An international reach builds alliances and bridge gaps between differences. Will you help us build the first and only Women's Equality Exhibit? 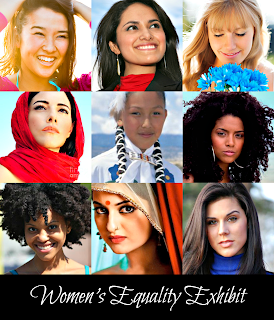 For domestic audiences, please donate through our fundraising page on Indiegogo. For support outside the U.S., you can conveniently make a donation through Paypal by clicking donate below.